Welcome to the first property blog of 2018! Rest assured that this year will see more property blogs. I predict that 2018 will be a very interesting year for the property market. Before I give you my predictions for 2018 though, how did I get on with my predictions for 2017? Looking at my blog on the 9th of January last year I predicted a 5% decrease in market activity with a slight increase in house prices averaging around the 2% to 4% mark. Whilst I think I was correct in relation to the general road of travel, the decrease in activity in the property market (especially in the second half of the year) appears to have been steeper than even I had predicted. As yet, I have not seen the final stats for 2017 and obviously there are geographical differences to take into account, but I would predict that Scotland overall would show a decrease of between 10% and 15% in relation to properties coming on to the market, with a perhaps more significant increase in average house prices, probably around 5%. There have been recent reports advising that November saw the sharpest drop in mortgage approvals for a number of years and as different areas start issuing their stats, I think this general downward trend will be repeated. On to 2018 and I am actually looking at this year with more optimism than the last year. What is the reason for the optimism? Like a bottle of champagne being constantly shaken, the housing market, with its links to lifestyle choices, will eventually not be contained no matter what the economic background. I suspect that 2018 particularly the second half of the year will show this and although uncertainty around Brexit will continue it will become something that we live with. As economic uncertainty fades and as general lifestyle requirements kick in, I think we will see an increase in activity in the housing market. I also think that developers sensing the lack of supply and price inflation, have now started to increase their build output. I believe that this will be the oil that greases the wheels of the property market especially if the developers offer part exchange and other incentives. ABERDEEN & ABERDEENSHIRE– I am starting to see green shoots of activity coming through the Aberdeen property market and whilst it will take some time for the extra stock to clear, I do believe that Aberdeen is on the cusp of recovery. Although we will not get back to the highs of pre 2010, we will over the next 18 months move very quickly towards some form of normality and a free flowing market. DUNDEE– As the V&A moves towards its opening and Dundee Council carry on with their exciting plans for the development of the waterfront area and the city in general, I do think that Dundee is on the cusp of very exciting times in relation to the property market. In particular watch this space in relation to flats down at the waterfront which are looking very reasonably priced and very attractive for investors and also residents. ANGUS– The Angus market continues to prove robust and as Aberdeen continues to improve expect more of this heat to work its way down the coast, in particular Montrose, Brechin, Arbroath, etc. PERTH & PERTHSHIRE– This market is proving very difficult as its driver in the early 2000s was the heat from the Edinburgh market. Unfortunately, I cannot see a big increase in the Perth property market, although I do predict more stability and a slight increase in activity. FIFE– This also appears to be a difficult market, however with some hot spots, St Andrews in particular proving very popular and prices continuing to exceed expectations. Again, I predict a degree of stability in the Fife market. 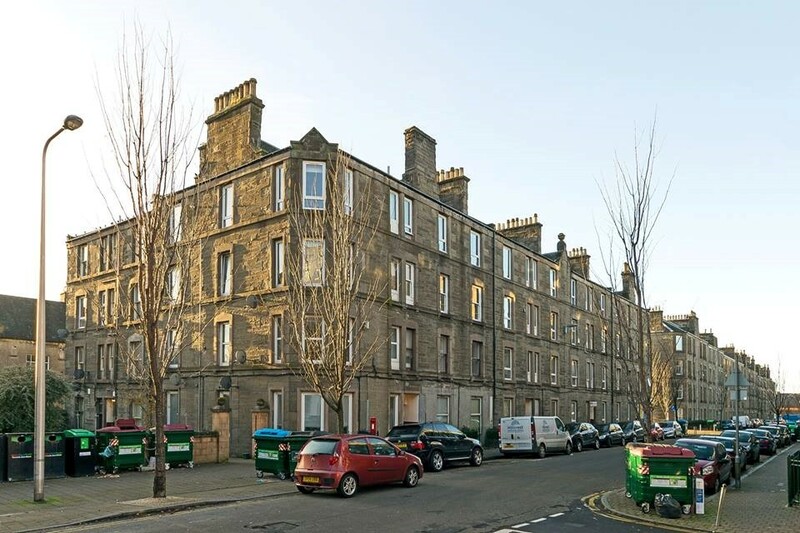 EDINBURGH– I see potential for further growth in the Edinburgh market. I think that the developers will continue to produce stock for this market and as such, I am anticipating some significant growth, both in terms of activity and prices in 2018. GLASGOW & the WEST– Again, I am seeing positive signs and think that in particular the second half of 2018 will show significant increases in activity in the Glasgow market fuelled by a mixture of newbuild development. Overall, I am predicting a slightly quiet first three months for 2018 with a steady increase in activity for the remainder of the year culminating in activity levels being up by 10% and prices increasing by 5%. As always, watch out for the first quarter figures as this will be a good indication. The phrase “more optimistic than last year” probably sums up my feelings. I will continue to provide blogs on aspects of the property market and also watch out for some interesting additions, including “dinners for winners” – my take on the late, Michael Winner’s weekly column in the Sunday Times. Finally, I would wish all readers a happy and prosperous 2018.